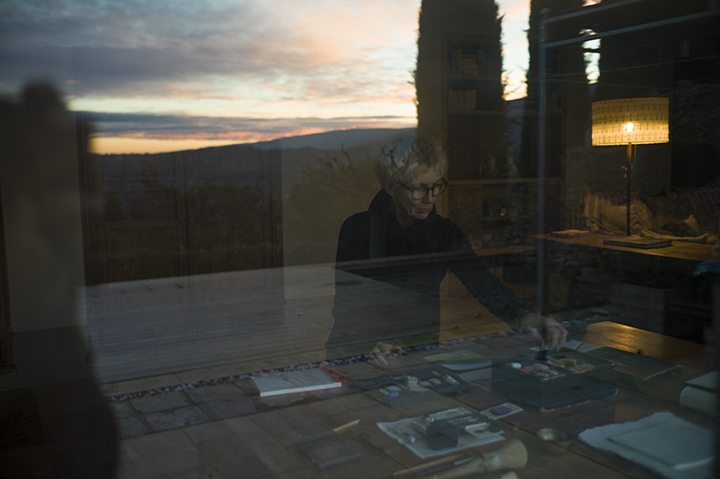 There are times in the life of a couple when one observes the other in an unguarded moment, like this image of Maggie at her studio table, lost in the process of feeling her way around in something she is working on. At a moment like this I feel radiant with love for her! I see the child-like concentration, and the adult’s expansion of the moment. This elasticity of focus is the state of mind that produces interesting answers to the question being posed, as well as the next question. 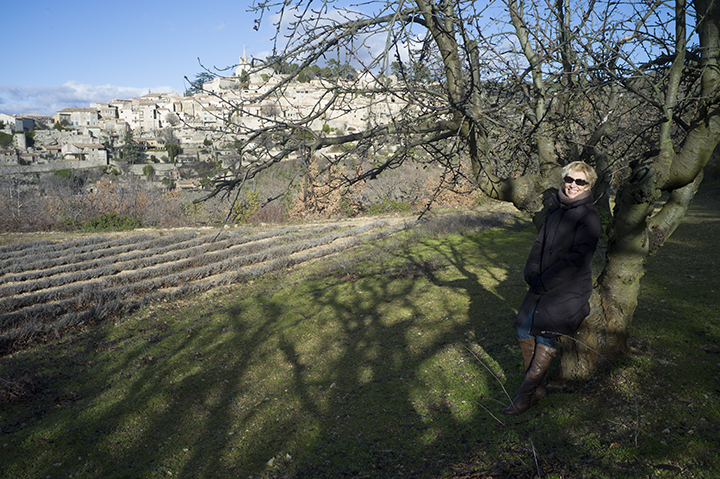 Earlier in the day we walked to what has become a new locus for our casual rambles around the village; a lavender field bordered by cherry trees with Bonnieux in the background holding onto the hillside as it has done since late Roman times. A long time ago, when my family was young I made photographs of them that were separate from my so called, ‘tougher’ street work, but then I learned that family life needn’t be treated any differently than the everyday world. In fact one has to look much harder to see into our intimate lives. This entry was posted in Uncategorized and tagged Bonnieux, Drawing, France, Maggie, Provence on January 11, 2015 by joelmeyerowitz2014.